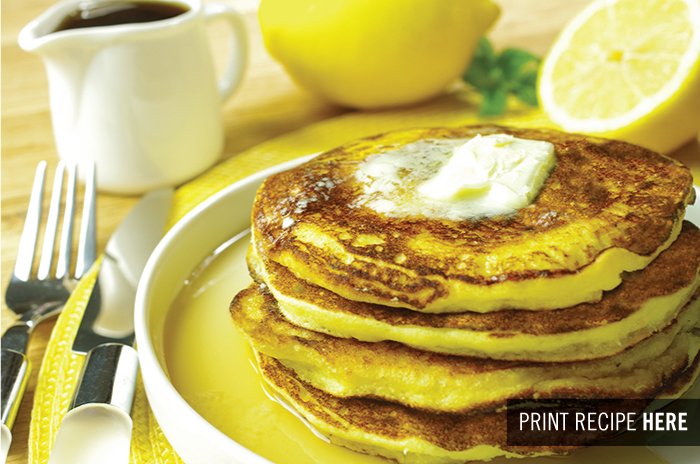 Whenever we have some leftover fresh ricotta – and darn, there’s a problem – we make these lemon-ricotta pancakes. They’re lovely and lemony, creamy with the ricotta and not too dense with flour. You might think that beating the egg whites is a bit fussy, but the lightness you’ll find from this is worth the small amount of effort. Just try to make them last longer than 5 minutes. COMBINING THE WET INGREDIENTS. 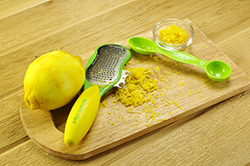 Whisk together the ricotta, egg yolks, sugar, and lemon zest in a large bowl. Set aside. 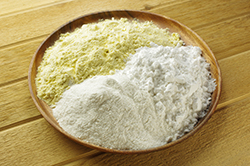 COMBINING THE DRY INGREDIENTS. 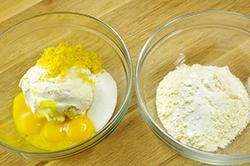 Whisk together the flour, baking soda, and salt in a large bowl. 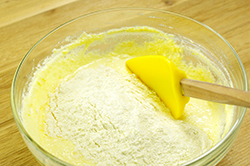 Scatter the dry ingredients over the wet ingredients and fold them together with a rubber spatula until just combined. BEATING THE EGG WHITES. 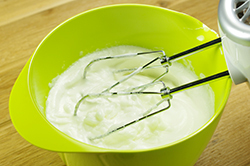 Put the egg whites in the bowl of a stand mixer (Or you can use a bowl, a whisk, and your strong arms). Beat the egg whites with the cream of tartar until they form soft peaks, about 5 minutes. 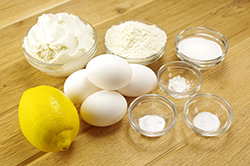 Fold the egg whites into the batter gently. Remember that you don’t want to crush that lovely fresh ricotta or the structure of the egg whites. MAKING THE PANCAKES. Set a cast-iron skillet over medium-high heat. Grease the pan liberally (and by liberally, I mean a lot) with butter. 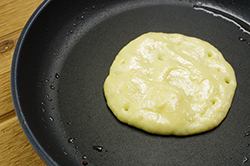 Pour the pancake batter into the buttered pan, about 1/4 cup at a time. When bubbles have started to form and pop on top of the pancakes, flip them. Cook for about 1 minute more, and set aside on a plate. Continue until you have cooked all the pancakes.